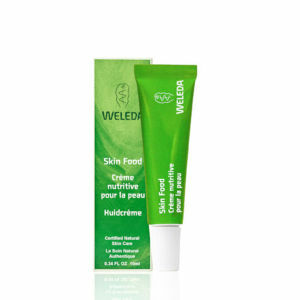 Weleda Pomegranate Firming Face Serum helps to slow down the signs of ageing by boosting the skin's natural regeneration process. Fine lines and wrinkles are reduced, whilst skin is left wonderfully hydrated. Water (Aqua), Alcohol, Glycerin, Aloe Barbadensis Leaf Juice, Punica Granatum Fruit Juice, Panicum Miliaceum (Millet) Seed Extract, Prunus Spinosa Wood Extract, Xanthan Gum, Citric Acid, Fragrance (Parfum)*, Limonene*, Linalool*, Geraniol*, Citral*, Coumarin*. *from natural essential oils.